It's the last day of National Ice Cream Month. But that doesn't mean the ice cream parties should end! At the beginning of the month, I shared my Oat and Dulce de Leche ice cream that I made for our Ice Cream themed Foodie Extravaganza event. There are lots of great ice creams on the list in that post so do check those out if you haven't yet. Here are some others that caught my eye this month. Coconut Marshmallow Fluff Ice Cream from Blahnik Baker - Cannot stop drooling over this one. A coconut ice cream would have been delicious. But she added marshmallow fluff AND toasted marshmallows. Amazing stuff. I'll take mine with some chocolate chips added in. 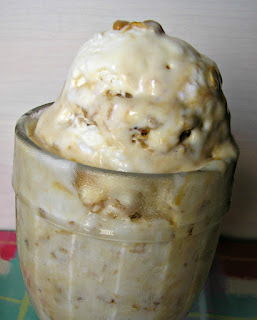 Roasted Apricot Chocolate Chunk Ice Cream from Joanne Eats Well - It has chocolate chunks. Need I say more? How about the fact that she roasted the apricot? Ice Cream Pie with Peanut Butter Krispie Crust from Foodie Crush - For the peanut butter lovers! Salted Oreo Ice Cream Pie from Climbing Grier Mountain - Oreos. Oreos. Oreos. No Churn Coconut Pistachio Ice Cream from The Spiffy Cookie - My mother would go crazy over this one! Blueberry Lemongrass Ice Cream from Pastry Chef Online - Very different! Which flavours have caught your eye recently? I put my hand upon your hip. Ahem. Sorry. 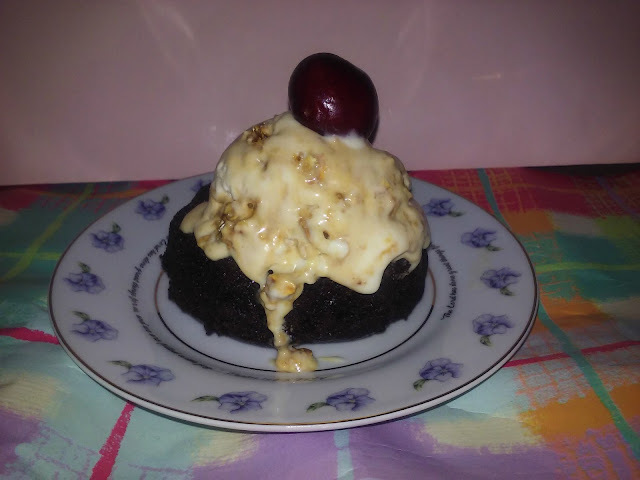 I just couldn't help it, So after procrastinating last month and having to rush to melt a back up dish for Crazy Ingredient Challenge, I vowed to not let that happen this month. As soon as the final votes were on, I started planning a dish using this month's winners - coconut and pesto. I had a pretty good idea of what I wanted to make. That was until a friend challenged me to avoid making bread. It wasn't exactly bread that I had planned but fiiiine, I'd step away from my flour crutch. Stepping away wasn't easy. Coconut can be hard to highlight since it's flavour is so subtle. I eventually decided a chickpea salad/dip. 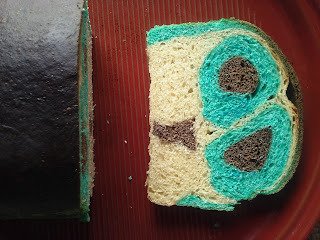 Still clutching to my bread love, I thought I'd make a sandwich using this whimsical bread that I made. My owl is a little drunk/sad but he still makes a good sandwich. Somehow, even after all that planning and a vow to not procrastinate, I found myself running to the supermarket at 11pm on the 18th to grab basil and coconut milk. Oops! And guess what? The supermarket was out of basil! Since it was too late to go elsewhere, I had to switch gears. I grabbed cilantro for a cilantro pesto then made a last minute decision to ditch the chickpeas. Instead I went with baked plantains. Really delicious and later this week, I'll still cook a batch of chickpeas to mix with the dip. The plantains are twice baked in the style of the fried tostones. Growing up, my mother would often make these on weekends. She' fry them though. I don't think we have a particular name for them in Jamaica. I just knew them as the best plantains ever. But I know Latin American and African countries have a variety of names for them. 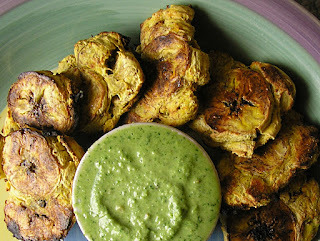 Be sure to scroll down to see how others used coconut and pesto! Place the coconut milk in the fridge for at least two hours. If short on time, you can place it in the freezer. After the can has chilled, carefully open the can. Do not shake the can at all. Scoop out the cream that has solidified at the top. Reserve the remaining liquid for smoothies or Jamaican rice and peas. Mix together the lemon juice and vinegar and stir in a little at a time into the the coconut cream. Taste and add enough to reach your desired taste. Stir in oil and salt. Place in the fridge to chill and solidify a a little. Put the cilantro, nuts, jalapeno, coconut and garlic into a food processor. Process until well-blended. Add the lemon juice then drizzle in the olive oil until you have reached your desired consistency. Err on the side of a thick peasto as you will be stirring in the coconut sour cream that will thin it considerably. Additionally, aim for a really spicy pesto since the coconut sour cream will mute the heat quite a lot. Stir in salt to taste. Mix the cilantro pesto and the coconut sour cream. Taste and adjust with salt or acid, if necessary. Chill until ready to use. It will thicken the longer it sits in the fridge. Slice the plantains into 1 inch pieces. Brush the pieces with oil then place on a greased baking pan. Bake for 10 minutes. Remove from oven and flatten the plantain pieces. My mother usually used two saucers so that's what I did. Brush with additional oil and sprinkle with salt. Bake for another 15 minutes or until the plantain has reached the desired crispness. You can place it under the broiler for just under a minute if it's not reaching your preferred colour. 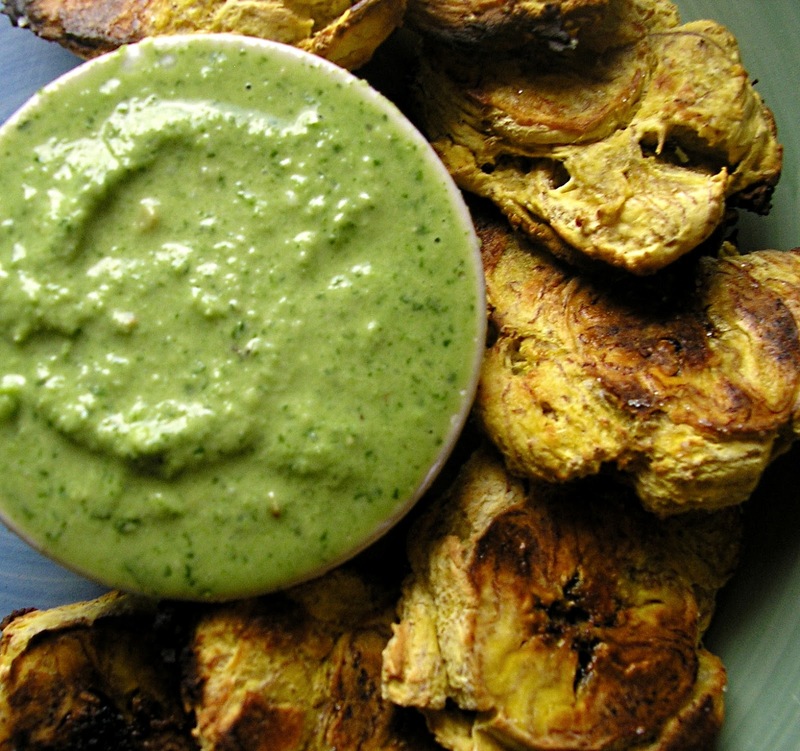 Serve warm with coconut cilantro pesto dip! Everything above is totally customizable. Taste at each step and adjust where you see fit. You may want more or less coconut. You may want less heat or more acid. There's no messing it up. Oats - an ingredient that I use almost every day. An ingredient that I like to toss into most loaves of bread. An ingredient that made its way into my beloved ice cream. Oats - the theme for this month's Bread Bakers. Sounds perfect for me, right? Yeah, I thought so too. But the days ticked by and I couldn't think of anything to make. Had I reached my oats saturation point? I first made one of my most favorite sourdough loaves. It's a simple but delicious sandwich bread that holds a special place in my heart because it's the first sourdough bread that I got "right". It was still as delicious as I remembered. I took some pictures. But I wasn't satisfied. It just didn't feel like the bread I wanted to share this month. I whined to a friend and he reminded me about the sourdough porridge bread he had sent me months before. I reminded him about my serious porridge aversion. Back to the thinking board. 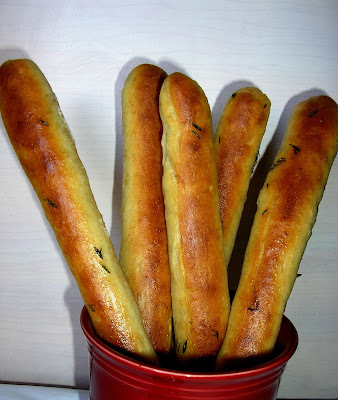 Later that week I was craving bread sticks and I did what I often do - threw some oats in. They were really soft and really really good. I love how easy it is to customise them. 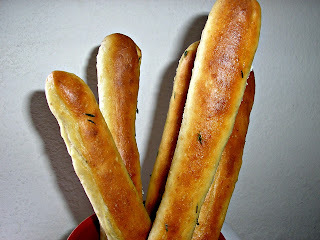 You can brush them with whatever you like - garlic + butter, herbs + butter or even cheese + butter. Just don't forget the butter. For this batch, I used some thyme. But on a subsequent batch, it was cinnamon and sugar. If you're looking for some oat inspiration, I know I am, the Bread Bakers have quite the list for you - approximately 30 ways to use oats in your dough. Thanks, Rocio for hosting! Enjoy! Combine oats, sugar, salt and hot water in a large bowl. Cover and let sit for at least an hour. To the bowl, add flour, yeast and oil. 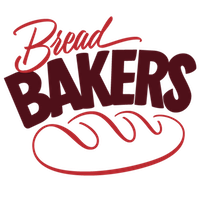 Knead until you have a smooth, soft dough. This will take about 6 or 7 minutes. It should be tacky but not sticky. Place dough in an oiled container. Cover and let rise until doubled. When dough has risen, divide into 9 equal pieces. Roll each piece into a 7 - 9 inch log. 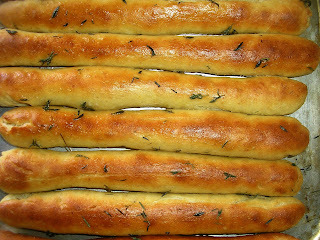 Place each log on a greased baking sheet or a parchment lined baking sheet. I used an 18" x 13" half sheet pan with each placed about an inch apart. Cover and let rise until doubled. Bake for 5 minutes or just until set. 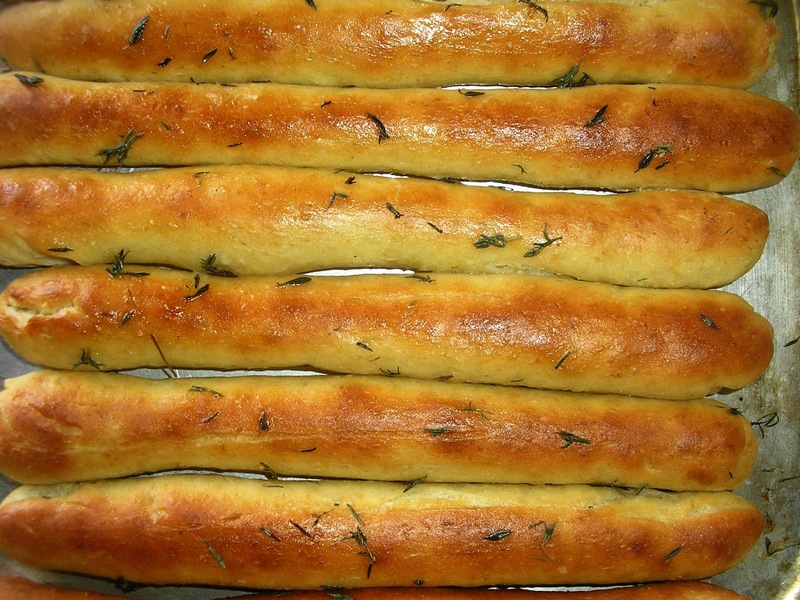 Brush with half the melted butter + herbs and return to the oven. Bake for another 5 - 7 minutes or until lightly browned. Remove from the oven and brush with the remaining butter + herbs. Letting the oats sit for a while in water allows them to soften. The oats will then be less likely to tear the gluten strand. You can start with cool water and let it sit longer - even overnight. Do not use the oat mixture if the temperature if still above the liquid temperature recommended by the manufacturer of your yeast. It was 4 am. I crept down to the kitchen to get some water. Soon, I found myself standing at the counter eating spoonfuls of the ice cream that I had made 5 hours earlier. The water forgotten, I smiled. The ice cream was good - really good. I was also smiling as it brought back memories of times not too long ago when 4 am bowls of ice cream were a regular thing. In fact, it wasn't limited to 4 am. Breakfast, painful lunch meetings, pre-dinner, post-dinner - I was always eating ice cream. I cut back when I had a health "issue". Reducing saturated fat was one of the many things suggested to ease trigeminal neuralgia pain.Honestly, I don't know if it made a difference. But I was in too much pain to not try it. After surgery, the hospitality director visited to see how I was doing. She asked if there was anything that I needed. I immediately said chocolate ice cream. My friends and family laughed. But I was serious. I had given up chocolate about two months before surgery in another effort to reduce pain. I NEEDED chocolate ice cream. How else were we going to know if the surgery was successful? July is National Ice Cream month. This is the one food holiday that I've been celebrating for years. The Farm Store down the street always has a sign up every July - there's no forgetting what July is all about. 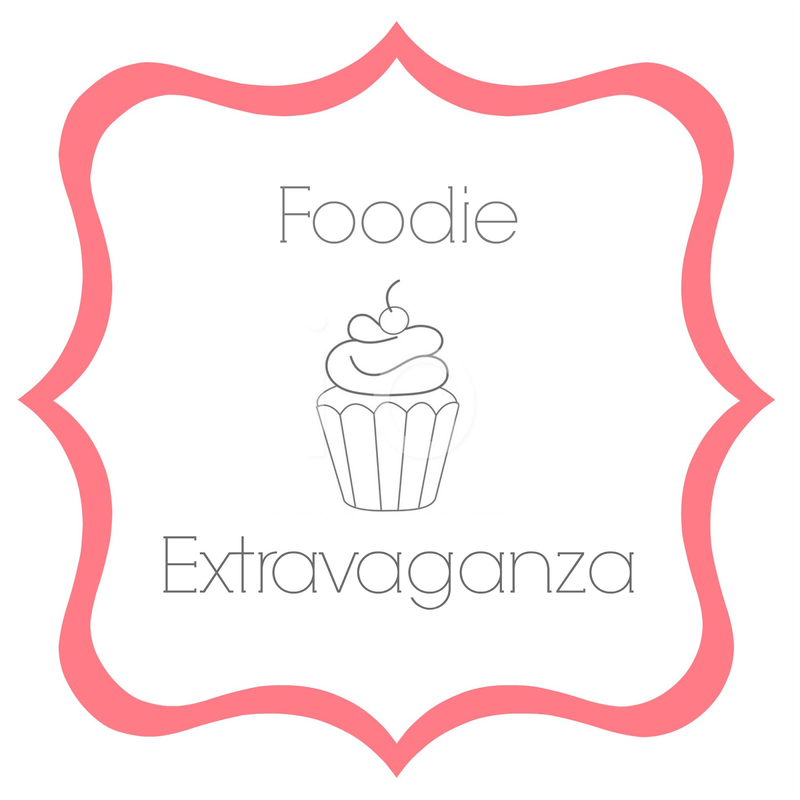 So considering my obsession with ice cream, I was more than excited when Camilla chose ice cream as this month's Foodie Extravaganza theme. I actually had a brownie chunk ice cream planned until one night I was eating toasted oats and I wondered how that would work in ice cream. I was a bit hesitant at first. 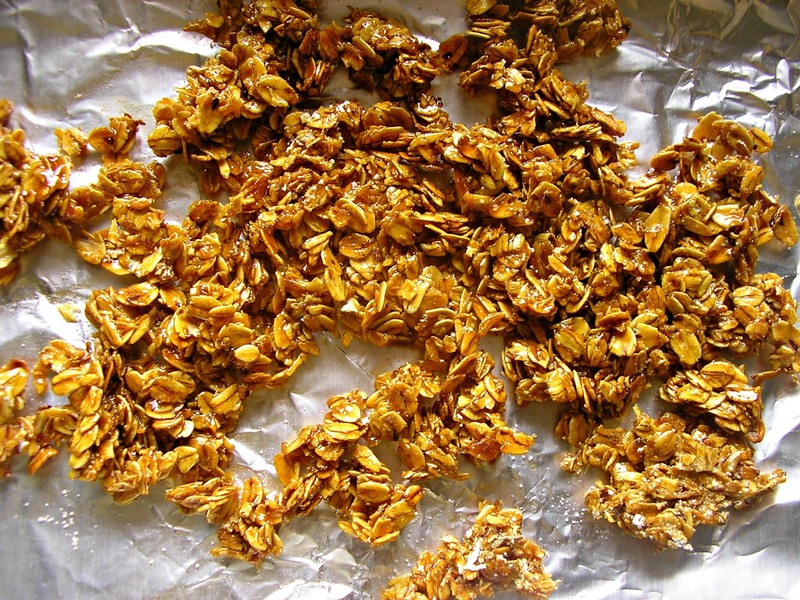 I love toasted oats and I love baking with oats. But once my oats get wet, I shudder and walk away. I just cannot do wet oats. I'm looking at you, porridge! If the oats got soggy in the ice cream, I'd be heartbroken. I remembered sprinkling sugar over my toasted oats once and when it melted, I had a great crunch. I found an oat praline recipe from David Lebovitz' Perfect Scoop which was exactly what I wanted. It's pretty hot in South Florida right now - mid nineties - so this no churn ice cream melted quite quickly! But what better way to spend a 95 F day? Ice cream is still pretty awesome on 5 F days too, though. 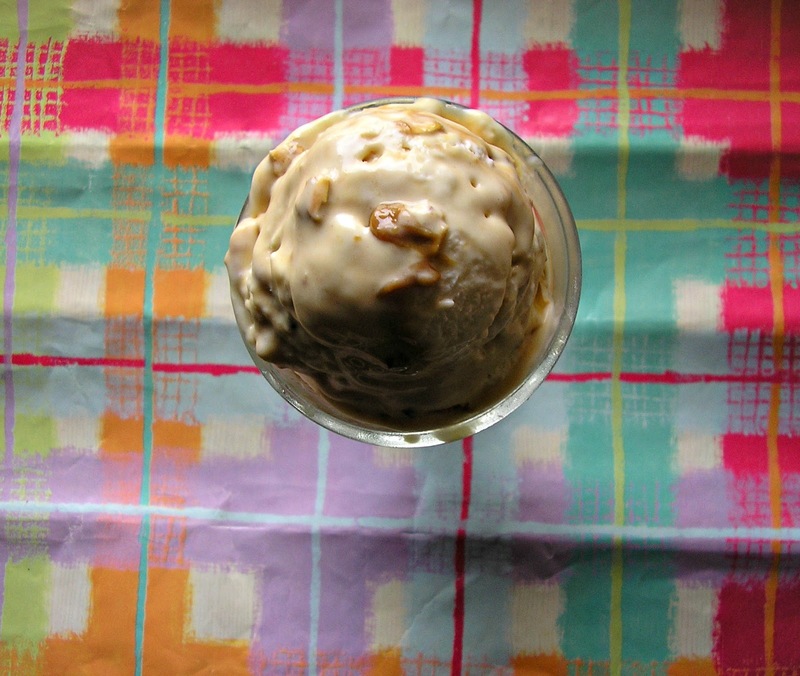 Recipe by: Kelly Adapted : Oat Praline from Perfect Scoop. Praline: Preheat oven to 350 F. Line a rimmed baking pan with foil and spread oats on the pan in a tin layer. Bake until toasted and fragrant. It will take about 7 - 10 minutes. Be sure to pay attention to it! Burnt oats are not as tasty. Place sugar in a small saucepan over medium heat. Cook until the sugar has melted and is amber coloured. Do not walk away from it! You can gently swirl the pan but do not stir. As soon as the sugar is amber coloured, add the toasted oats to the pan. Stir quickly to coat the oats completely. Return the mixture to the foil-covered baking pan. Spread out as thinly as you can and sprinkle with salt. Allow to cool completely. Break into chunks and try not to eat all of it. The size depends on your ice cream chunk-size preference. Ice Cream: In a large bowl, mix together condensed milk, yogurt. rum and salt. In a separate bowl, beat the heavy cream to stiff peaks. Gently fold small portions at a time into the condensed milk mixture. Next, fold in the oat praline pieces. Then gently swirl in the dulce de leche. Place in a covered-freezer safe container and freeze for at least 6 hours. After attempting to melt sugar (because let's be honest, I'm rarely ever successful), I usually immediately fill the pan with water and return it to the fire. The hot water will quickly dissolve any remaining sugar and make it so much easier to clean. I wish I knew this when I was ten and got hardened sugar stuck in my mother's pot and melted a spatula. Story for another time. If you don't use condensed milk in your tea and coffee, the rest of the condensed milk can be used to make the dulce de leche. Bake in a foil-covered baking dish at 425 F. The dish should be placed in a water bath. It will take about an hour or so for it to caramelize. You could also do it in a water bath on the stove top or in a slow cooker. Be sure to check the water bath often. You don't want it to dry out. So during this first full month of summer, it's all about ice cream. But that can include gelato, semi-freddo, and even popsicles. Go wild!